Muslim Brotherhood & planet of the apes had a baby. Which she later deleted and apologized, yet her apology hasn't been fully accepted by some. 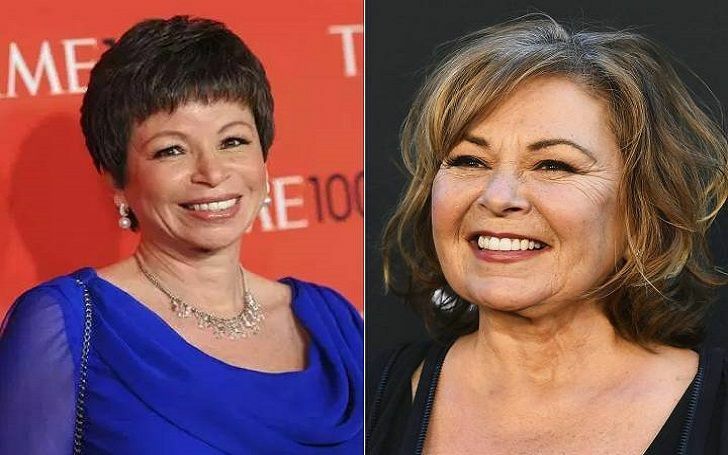 ABC canceled the reboot of Barr's Roseanne sitcom on Tuesday, May 29. A backlash to her sour tweet, in a way. Now responding to Roseanne's tweet, American government official, Valerie Jarrett claims the root of racism tweet has to do with the one holding supreme power, the President. The 61-year old government official says President Donald Trump bears some responsibility for a racist tweet from comedian/actress Roseanne Barr, comparing the time during Barack Obama's regime. It's no new that Trump has faced backlash involving Twitter incidents. Jarrett says during an MSNBC special, airing on today night. But I also think every individual citizen has a responsibility too, and it's up to all of us to push back. Our government is only going to be as good as we make it be. Roseanne has returned to Twitter and her feed includes several mentions of Valerie Jarrett’s skin color. It is extremely unpleasant and only highlights how problematic this worldview is. Jarrett said Bob Iger, the CEO of ABC's parent company Disney, called her before Roseanne's announcement and apology. He said that he had zero tolerance for that sort of racist, bigotted comment and he wanted me to know before he made it public that he was canceling the show. Jarrett, who was a senior adviser to President Barack Obama, was previously scheduled to participate in the MSNBC special, Everday Racism in America. Jarrett said at the MSNBC's special. I'm fine. I'm worried about all the people out there who don't have a circle of friends and followers who come right to their defense. Barr has been a vocal supporter of Trump, and he has had a help from the actress/comedian. Addressing Roseanne during a rally in Richfield, Ohio, he said. They were unbelievable. Over 18 million people. And it was about us. They haven't figured it out; the fake news hasn't quite figured it out yet.